Have you or a loved one suffered an injury after implantation of an IVC Filter? No Expenses or Fees Unless You Win Your IVC filter Lawsuit! Inferior Vena Cava Filters lawsuits are being filed throughout the nation seeking compensation for injuries or deaths. The lawsuits allege that certain IVC Filters have broken apart resulting in serious injuries or death. Parker Waichman LLP has recovered over $2 Billion for injury victims throughout the United States. Our law firm is currently reviewing and accepting IVC Filter injury cases nationwide. An IVC (for inferior vena cava, a major vein in the body) filter is a wire device that is placed temporarily into the IVC of a patient and whose purpose is to catch blood clots before the clot(s) can reach the patient’s vital organs. The IVC filter keeps the blood clot from progressing through the inferior vena cava until the clot has had an opportunity to break down until it is of such a size that it no longer poses a health risk. IVC filters are designed to be temporary devices and should be removed from the patient several weeks after being inserted. What Were IVC Filters Manufactured For? Medical technology has significantly progressed over the past few decades. In recent years, there have been numerous medical devices that help prolong a patient’s life and can even improve a patient’s quality of life. Inferior vena cava filters (often referred to simply as IVC filters) were advertised and marketed as one such device. Blood clots are potentially fatal clumps of blood that form in the bloodstream and that can be the cause of a serious medical emergency if they disrupt the flow of blood to vital organs like the kidneys, brain, and/or heart. Blood clots can form due to blood coming into contact with certain substances in your blood and/or because of medical conditions that result in poor circulation. Anti-coagulants are often prescribed to patients to assist in reducing the likelihood that blood clots will form, but some patients are not able to take anti-coagulant medications. For this latter group of patients, an IVC filter may appear to be an appropriate treatment alternative. What Injuries Do the IVC Filter Lawsuits Allege? Manufacturers of IVC filters like C.R. Bard and Cook Medical led patients and doctors to believe that these devices were effective alternatives to anti-coagulant drugs and were capable of keeping dangerous blood clots from traveling through the bloodstream and negatively affecting a patient’s heart, brain, and/or lungs. Two of the leading manufacturers of IVC filter devices are C.R. Bard and Cook Medical. Lawsuits are being filed against these and other IVC filter device manufacturers for injuries and losses patients have sustained after having IVC filters implanted. These lawsuits allege that IVC filter devices have perforated the IVC, have fallen apart and pieces of the device have migrated to the patient’s heart and/or lungs where they have become implanted, and/or have been ineffective in catching blood clots before they reach the patient’s vital organs. However, these findings do not reveal the whole story about IVC filters. Patients have been injured – even killed – by IVC filters that have come apart or broken while implanted in a patient. The shards of these devices have then torn through veins and punctured organs, leading to serious or even catastrophic medical emergencies. In this way, a device that was marketed and sold as a way to help protect a patient’s health can be a source of pain and, in some cases, death for patients. What Are the Side Effects and Symptoms of a Defective IVC Filter? How Does the Law Protect IVC Filter Patients? C.R. Bard, Cook Medical, and other manufacturers of IVC filter devices cannot produce a device that is free from dangers and all risks. In fact, the law does not impose a duty on any manufacturer of any product – even one meant to be surgically inserted – to only produce those products that carry no potential risks. However, the law does require these manufacturers to produce an IVC filter device that (1) is reasonably safe for its ordinary use and is not likely to fall apart and disintegrate; (2) is designed to perform the task or tasks that its manufacturers claim it should do; and (3) carry sufficient warnings for consumers and their doctors so that consumers can have an educated and open discussion with their doctors about whether to use an IVC filter device. What Are the Legal Obligations For Manufacturing IVC Filters? IVC filter devices that fall apart during normal use or that do not carry sufficiently detailed warnings and cautionary statements are said to have one or more defects – characteristics that pose a serious and possibly deadly risk to the patient. IVC filter manufacturers are required to take reasonable measures and expend reasonable amounts of time and resources in order to either reduce the risks posed by defects and/or (ideally) eliminate defects from the product. Those defects which remain even after reasonable efforts to eliminate them have been made must be brought to the attention of the end user of the product as well as those middle-men and/or middle-women who may sell or distribute the product. When an IVC filter manufacturer fails to uphold its obligations in this regard and the IVC filter device causes you and/or your loved ones to suffer injuries and losses, an IVC filter injury lawsuit is the vehicle through which you can obtain financial compensation (called “damages”). This is because the law in all states does not require individuals who are injured by the careless or reckless acts of another to bear the financial costs of the expenses and losses they incur as a result of the acts of another. Pain, anguish, and mental suffering – especially because these can negatively impact your quality of life. C.R. Bard, Cook Medical and additional manufacturers of defective IVC filters had the opportunity to know that its medical devices were defective and/or dangerous, but these manufacturers did not take appropriate steps to warn consumers about these risks and dangers. Because of this, these manufacturers should be held to account when you or your loved one have been injured. First, there must be evidence of careless behavior on the part of the IVC filter manufacturer. Careless behavior exists if a similarly-situated and reasonable IVC filter manufacturer would not have engaged in the same behavior or course of conduct that the IVC filter manufacturer in your case actually did. Some examples of careless behavior that has been alleged in other IVC filter injury lawsuits include manufacturers who did not properly design and/or construct their IVC filter devices and thereby cause them to fail to prevent blood clots or to disintegrate and send dangerous metal shards through the patient’s body. Careless behavior may also include failing to include adequate warnings to doctors and consumers about an increased risk of pulmonary embolism or stroke. Next, the manufacturer’s careless (sometimes called “negligent”) behavior or omission must have caused or been the primary cause of your injury or adverse medical event. In some states, you are entitled to recover compensation even if you contributed to your injury in some way (by failing to obtain prompt treatment when you noticed signs that your IVC filter was causing you trouble); in other states, any negligence on your part can preclude you from recovering any compensation at all. Simply put, if the injury or adverse effect you experienced would not have happened “but for” the defect in the IVC filter device, then the element of causation is usually met. For example, if you and your doctor would not have implanted a specific IVC filter device had proper warnings and information been provided by the manufacturer, then the element of causation may be met. Similarly, if a properly-constructed IVC filter device would not have caused your pulmonary embolism or stroke, the IVC filter’s manufacturer may be held responsible and liable for your damages. Finally, you must be able to show that you need a compensation award of money because you incurred medical bills, lost wages, pain and suffering, and/or other injuries, losses, and expenses as a result of your IVC filter device’s defect. The injury, loss, and/or expense for which you are seeking compensation must also be causally connected to the IVC filter defect. For example, while you may be able to recover compensation for additional hospital bills and rehabilitation costs you incurred after suffering a pulmonary embolism caused by your IVC filter, you would not be able to recover compensation for car repairs you had to pay after your car broke down on the way to the hospital. While some bills like medical expenses and lost wages are easy to document and support, other losses like pain and suffering are more difficult to quantify. What is more, you only really get one chance to obtain the compensation you need: if you succeed in your lawsuit but fail to request enough compensation to adequately address all of your needs, in most cases you will not be able to “re-open” your case in order to request additional compensation. Each state and jurisdiction has a specific statute of limitations that applies to IVC filter injury lawsuits and limits the amount of time available to you within which you can file a claim for monetary damages. Some states have statutes of limitations that are four years in length or even longer; other states may only give you one year within which to file a claim for compensation. Violating this statute of limitations can have disastrous effects on your injury lawsuit. If you run afoul of the statute of limitations by filing your lawsuit too late, you may find that your lawsuit is dismissed by the court without any award of damages or compensation to you. Your lawsuit may be dismissed even if the evidence of the IVC filter manufacturer’s carelessness is clear and convincing. Avoid this result by retaining an attorney to assist you in filing your lawsuit as soon as possible. One narrow yet important exception to the statute of limitations is known as the “discovery rule.” This rule says that the “clock” for the statute of limitations does not begin to run until a reasonable person in your situation “knew or should have known” that you had suffered an IVC filter-related injury. For example, suppose that you live in a state with a two-year statute of limitations. Suppose further that in January 2018 you begin noticing some strange but mild symptoms such as shortness of breath or nausea. Even though you keep several appointments with your doctor, it is not until you suffer a pulmonary embolism in July 2018 that your IVC filter device is identified as being responsible for your symptoms earlier in the year. In this situation, you would likely have until July 2020 to file your claim for compensation. Rather than worry and fret over whether you have a claim, allow the experienced legal team at Parker Waichman LLP to evaluate your case and advise you as to what rights to compensation you may possess. We can not only tell you whether you have an IVC filter injury lawsuit but the likelihood that your case will succeed and result in compensation based on the evidence and witnesses available to you. Because your time to file a lawsuit seeking damages is limited, contact Parker Waichman LLP right away. Your IVC filter lawsuit “begins” with an investigation into your injuries to determine that there is sufficient evidence (in the form of objective, tangible evidence as well as the testimony of witnesses) backing up your claim that your IVC filter device caused you to sustain injuries and losses. It is beneficial to complete this task before a lawsuit is actually filed with a court: you would not want to spend the time and resources it takes to take a case from start to finish if there was only a slim chance (or no chance at all) that your claim would be successful. An investigation to identify and consider the quantity and quality of evidence available to support your claim will enable you and your attorney to fully discuss whether a lawsuit should be filed to seek compensation for your IVC filter-related injury claims. If it is decided that a lawsuit should be initiated, the first step involves the filing of initial pleadings with the appropriate court. These pleadings lay out in a concise fashion the facts and legal authorities which you claim entitle you to compensation for your injuries. Essentially, these initial documents must allege enough facts and legal authorities so that a court would believe you would be entitled to the compensation and relief you are asking for if it were to believe everything you allege as true. At the same time that these initial pleadings are filed with the court, copies of these pleadings are also served on the IVC filter device manufacturer and any other defendant named in your lawsuit as being responsible (in whole or in part) for your IVC filter-related injuries. These individuals and/or entities will typically file an answer or written response to your allegations. The next step in the litigation process is called “discovery.” It is during this phase that the parties generally “discover” the information, evidence, and witnesses that the other party intends on using to support its claims and allegations. Witnesses may be deposed or interviewed under oath about their intended testimony at trial. Expert witnesses such as medical professionals or engineers who are familiar with IVC filter devices and their designs will prepare reports of their findings and conclusions and share these with the other party. Documents, reports, records, photographs, and other similar evidence may be copied and shared as well. The last general phase in litigation involves a trial on the issues. 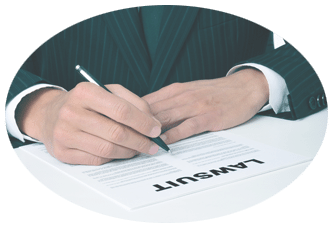 A trial will occur if the parties have not reached a settlement agreement and you (referred to as the plaintiff) decide that you wish to present your case to a judge or jury. One or more pretrial hearings may be held before the date of the actual trial in order to decide what evidence and/or testimony is to be presented and what rules or limitations will be in place during the trial. After evidence and the testimony of witnesses has been presented, the factfinder (either a judge or jury) will render a verdict in favor of one party or the other and will determine what monetary damages – if any – are appropriate. You should expect that at every stage of litigation your IVC filter injury lawyer will be keeping you informed about the type of hearing that is occurring and what important decisions you need to make. Your IVC filter injury attorney will help you move as swiftly as possible through the litigation process so you can obtain the compensation you need in a timely manner. What are the Signs and Symptoms of IVC filter injuries and problems? Initial IVC filter troubles and injuries may not appear to be significant and may be mistaken for symptoms of another condition. You may experience chest pain, nausea and/or vomiting, low blood pressure, shortness of breath, and/or lightheadedness and confusion. In severe cases, your initial symptoms may include significant internal bleeding and/or stroke. If you have an IVC filter device implanted and you suddenly and inexplicably experience any of these symptoms, it can be very beneficial to seek medical advice and evaluation as soon as possible. Even if the symptoms are benign or not connected to your IVC filter device, knowing that your health is not in immediate jeopardy can be quite a relief. What manufacturers of IVC filters and/or devices are the subject of IVC filter lawsuits? Some of the most common IVC filter manufacturers and devices involved in IVC filter injury lawsuits include: (1) the Recovery filter (manufactured by C.R. Bard); (2) the G2 filter and G2 Express filter (also manufactured by C.R. Bard); (3) the Günther Tulip filter (manufactured by Cook Medical); and (4) the Celect filter (also manufactured by Cook Medical). However, you may be entitled to compensation for your IVC filter-related injuries even if your IVC filter is not one of the devices mentioned above and/or manufactured by a manufacturer other than C.R. Bard or Cook Medical. What if my doctor explained the risks associated with my IVC filter? Does that mean that I cannot recover any compensation? Not necessarily. IVC filter injury lawsuits allege that the manufacturers of these devices either (1) did not adequately inform the general public – including your doctor or surgeon – about the risks of these devices; and/or (2) did not take reasonable and appropriate steps to manufacture IVC devices that were reasonably safe for intended patients. Even if your doctor told you there were certain risk associated with having an IVC filter device implanted, you may still be entitled to compensation if the information provided to you by your doctor was incomplete or did not fully advise you of all the risks associated with the IVC device. Further, a defectively-manufactured IVC filter device that causes injury to you may still result in you being able to obtain compensation regardless of what information regarding risks and dangers was communicated to you. What should I do if I believe I am suffering side effects or injuries as a result of my IVC filter device? If you have an IVC filter implanted and you notice signs or symptoms of a problem with your device – chest pain, nausea, or shortness of breath, for example – speak with your doctor and/or proceed to the nearest emergency room as soon as possible. In extreme cases, injuries related to your IVC filter device can result in stroke or even death, so prompt medical treatment in helping to ensure the best possible outcome. If you receive treatment from a medical professional with whom you are not acquainted, make sure he or she knows that you have an IVC filter device so that you can obtain appropriate and necessary treatment. Be sure to obtain that necessary medical treatment and ensured your health is not in immediate danger. How often should I see my doctor? Should I ever stop visiting my doctor if I file an IVC filter lawsuit? Not only should you continue to see your doctor regularly, you should also follow any instructions he or she has for you. If you are unsure whether your doctor is providing you with accurate and appropriate medical advice, or if you do not trust the doctor who implanted your IVC filter, you should not hesitate to seek out a second opinion from another appropriate medical professional of your choosing. Depending upon the state in which your IVC filter injury lawsuit is filed, ceasing medical treatment or failing to keep regular and reasonable appointments with your doctor can be cause for a reduction in the amount of compensation you receive (or, in certain cases, a denial of any compensation altogether). In the event that you have comments, questions or concerns about whether you ought to continue seeing your doctor for regular appointments, contact your IVC filter injury lawyer for guidance. How long do I have to wait before I start receiving compensation? You will not receive any compensation until your case has been resolved in your favor either through a trial or a settlement agreement. Unfortunately, it is nearly impossible to predict with any certainty how long your IVC filter injury will last. Factors that go into determining how long any IVC filter injury case will last include the complexity of the legal issues in your IVC case, how long it has been since your injuries occurred, how complete your medical records are, the presence of supporting documentation and/or witnesses, and whether the manufacturer of your IVC filter device is amenable to settling your case. At best, your IVC filter injury case can be resolved through a settlement in a matter of a few months. At worst, your case may not proceed to trial for a year or more. Do not hesitate to speak with your attorney from Parker Waichman LLP regarding any other questions that you might have regarding your legal rights and your IVC filter lawsuit. The more information you possess, the better you will be able to make informed and well-reasoned decisions about how best to protect your physical health and your legal recovery. 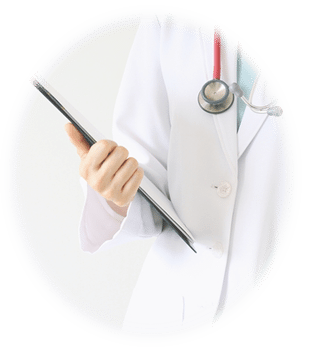 How Can an IVC Filter Injury Lawyer Help Me? Like other medication and medical device injury lawsuits, a claim against the manufacturer of an IVC filter device for injuries you sustained is complex. You will almost certainly require additional evidence and testimony beyond the facts of your injury with which you are familiar. Given this inherent complexity in IVC filter cases coupled with the pressure of knowing that, once filed, your ability to recover monetary compensation for your injuries depends on a successful resolution to your case, and trying to handle an IVC filter injury case on your own or with a law firm that lacks experience in and knowledge of these types of cases. Honestly assess your claim so you can make an informed decision about how to proceed: Not every IVC filter injury will result in a successful claim, and it takes considerable legal knowledge and experience to know what facts and circumstances make for a successful IVC filter lawsuit. You can lose valuable time and resources by pursuing a claim that ultimately is unsuccessful, so you will want an attorney who can honestly advise you of your legal rights and the likelihood of succeeding in an IVC filter injury case. Discuss settlement offers with you: The manufacturer of your IVC filter may propose a settlement offer to you if the evidence of the manufacturer’s liability is clear and the manufacturer does not have a viable defense. In a settlement offer, the manufacturer proposes to pay you a certain sum of money in exchange for you agreeing not to pursue any additional damages or compensation beyond that which is agreed to in the settlement. The amount of compensation offered, however, may not be sufficient to fully compensate you. 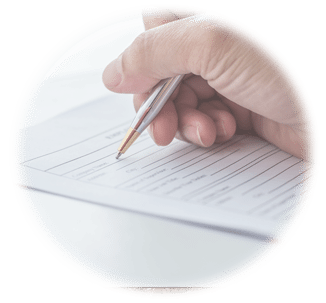 Your attorney can discuss with you whether a particular settlement offer should be accepted or rejected. If you and your attorney elect to reject a settlement offer, your attorney can assist you in deciding whether to make a counteroffer to the manufacturer or whether it would be more beneficial to continue with your lawsuit. Meeting legal obligations and deadlines: Every litigant in a lawsuit has obligations to provide certain discovery to the other party within specified periods of time, to format pleadings, motions, and other documents to legal requirements, and to take actions such as responding to motions made by the other party within the timeframes provided by law. Those who choose to represent themselves during their IVC filter lawsuit are expected to conform with these requirements and obligations just as if they were an attorney themselves. Rather than attempt to learn your jurisdiction’s laws and rules at a time when you and your family are recovering from the effects of your IVC filter injury, allow your attorney – who is already well-versed in these issues – assist in keeping your case moving and in compliance with the law. Handling negotiations and discussions with the opposing party: If your health has just been jeopardized because of an IVC filter-related incident, likely the last thing you want to do is to have to speak with the legal team representing the IVC filter manufacturer. This is especially true when one considers that such discussions and conversations (whether about your legal claim, a settlement offer, or some other related matter) can occur with great frequency and regularity. Some of these conversations can be tense or difficult, causing you additional stress (and delaying your physical recovery even more). By retaining experienced counsel, your attorney will have these difficult conversations with the opposing party on your behalf. Rest assured, though, that any important information or updates will be brought to your attention in a timely manner. Parker Waichman LLP prides itself not only on our ability to recover compensation on behalf of our clients but also in providing exceptional service to our clients throughout the pendency of their claims and beyond. We strive to provide a benefit to our clients: we want our clients to feel as if they have truly gained a skilled and dedicated ally and partner when they retain our services. Let us assist you with your IVC filter claim today. You were told that your IVC filter was supposed to improve your health. You trusted that the manufacturer of the IVC filter that would be implanted in you would use care and caution in constructing your filter device knowing that your health was on the line. You further believed that the manufacturer would take all reasonable and appropriate steps to alert your doctor of any potential dangers or side effects so that you and your doctor could have an open and frank discussion about the insertion and use of the IVC device. Although your expectations were reasonable and should have been met, they were not. You need an experienced IVC filter attorney on your side who will fight hard to ensure you get justice. Parker Waichman LLP is an experienced and compassionate IVC filter injury law firm committed to helping you and your family recover complete financial compensation after an IVC filter has caused you to suffer a stroke, pulmonary embolism, or other medical injury or harm. Over the course of our law firm’s existence we have recovered over $2 billion in compensation for our IVC filter injury clients and other clients who have been hurt as the result of defective and dangerous medical products. a “5 Dragons” rating from the website www.lawdragon.com. As well as many other awards and honors. However, our greatest honor is to see the lives of individuals and families improve as a direct result of our firm’s zealous and skilled advocates. Turn to Parker Waichman LLP if you or a loved one had an IVC filter implanted and you thereafter suffered an adverse medical event or injury. We will work diligently to help you hold the manufacturer of your defective IVC filter device accountable for any negligent or unreasonably dangerous actions that jeopardized your health and wellbeing. Parker Waichman LLP cannot undo the past or reverse the harm caused by your IVC filter injury. What we can do – what we are exceptionally skilled at doing – is holding the manufacturer of your IVC filter device responsible for the financial cost and burden of your injuries. While you are recovering from your injuries and/or attempting to move on following the sudden and tragic death of a family member you shouldn’t need to worry about the financial obligations and burdens that were created because of a defective IVC filter device. Our legal team has years of experience in fighting diligently and aggressively for our clients and helping ensure they do not bear the financial burdens of their injuries and losses themselves. Let us put our knowledge, skills, and resources to work on your behalf: call 1-800-YOURLAWYER (1-800-968-7529) to discuss your case with us today.